I knew when I ordered Cult Nails first nail polish, My Kind of Cool Aid, that I would continue to buy more shades from this line as they came out. They offer unique finishes and a range of colors that continue to impress me. 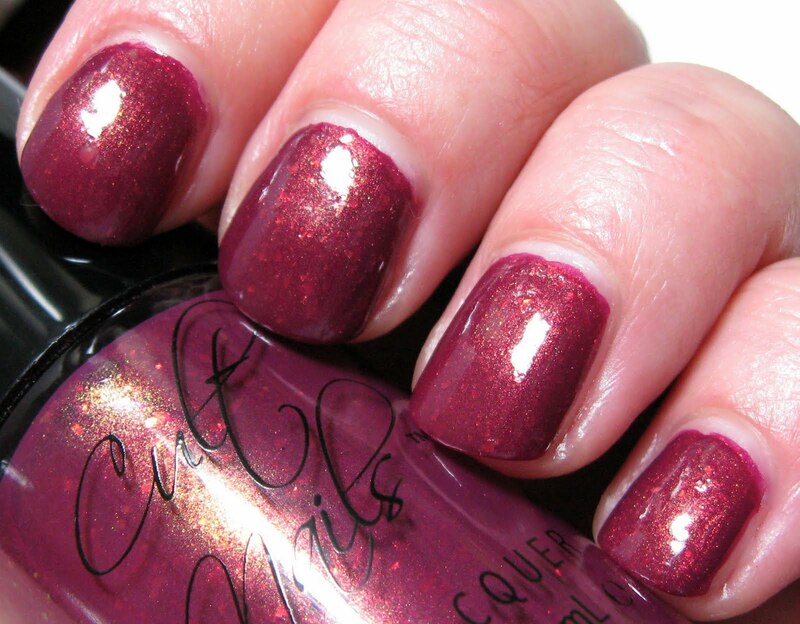 Below: Iconic is a lighter burgundy shade that is enhanced with both small standard glitter and flaky glitter. The flaky glitter is somewhat muted, making this all the more beautiful to me. There's a little flash of gold in the flaky goodness which adds to the richness. 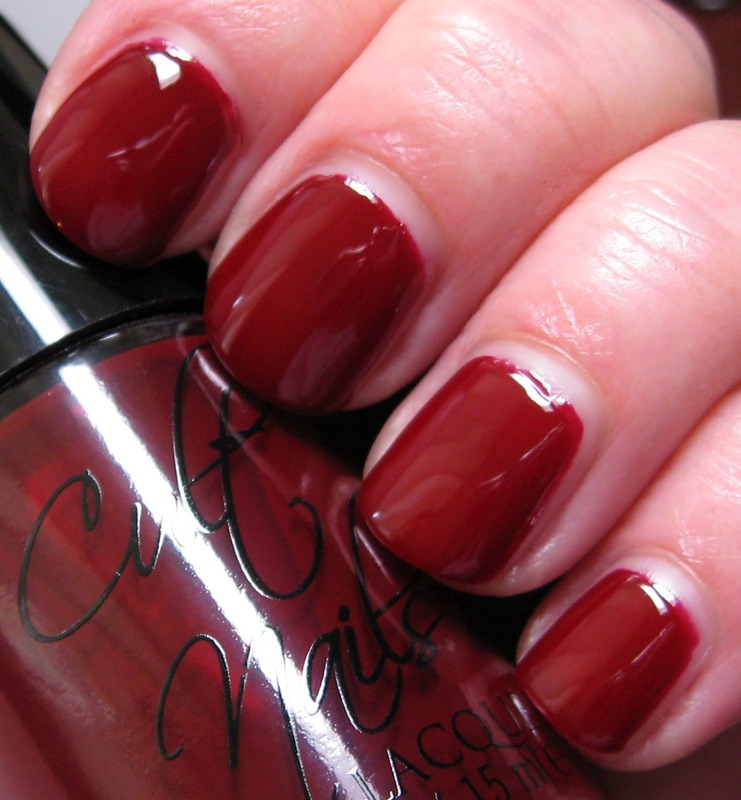 Below: Quench is a deep red vampy jelly creme that has a superb formula. All of the polishes I've used from this line have a top quality formula, but this one in particular is in a class all by itself. Below: Living Water is a deep teal shade filled with tiny silver, aqua and green glitter. This shade dries to a semi matte finish, so I would advise using a top coat to enhance the look. I wasn't able to get a photograph that showed the true beauty of this shade, but the color combination of glitters against the deep teal background is gorgeous. I've been very impressed with what I've seen so far from Cult Nails. Their polish has a fantastic formula, and 2 coats gives you perfect coverage. I'm looking forward to their future offerings, because based on the four shades I have so far, I know there's a lot more creativity to come. I want all of these polishes! They are so pretty! Plus, I like supporting Indie businesses. Thank you for the swatches! Wow. Iconic is traffic stopping. I've seen these on a few blogs. The polishes look outstanding! I will be ordering these in the future. They are just amaing looking on you.